My Mother’s Day Brunch was smaller than usual, but was still filled with lots of yummy food. I am going to be sharing a few of those recipes over the next few days. 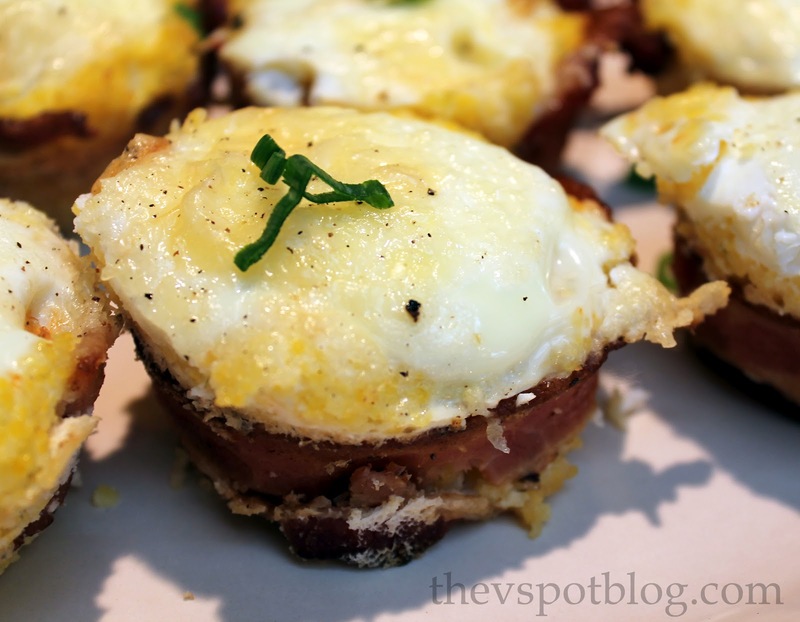 One of our favorite brunch dishes are these little baked eggs in a polenta and bacon crust. They are easy to make ahead of time and are a really pretty presentation on a buffet table. Par-fry bacon until slightly browned, but still pliable. Drain on paper towels and set aside. Spray muffin tins with cooking spray. Line the edges of each muffin tin with a piece of bacon, forming a little ring. Place a small piece of bacon in the bottom of each cup. Preheat oven to 400 degrees. Crack an egg into each cup. Top with more cheese, green onion, thyme and a bit of cracked pepper. Bake until egg whites are almost set… 16 to 20 minutes. Let eggs stand at room temperature for 5 minutes. They will continue to cook. Run a small, sharp knife around the edges of the cups and slide the eggs onto a serving platter. Garnish with the sprigs of fresh thyme. Enjoy! This dish is always a hit. Handsome Hubby forgot to spray the muffin tins this year so they were a bit difficult to remove. Next year we are going to try using muffin liners and see what happens. 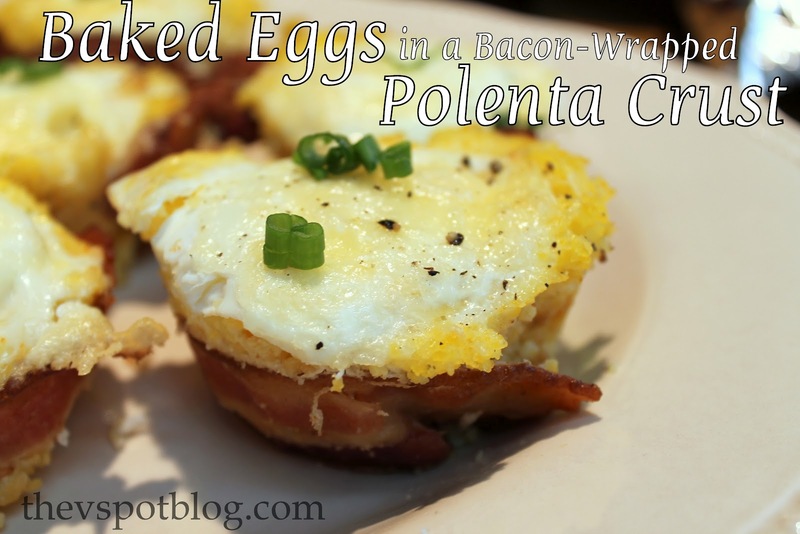 I’ve never had polenta but it sounds good! I’m not a big fan of polenta but those look enticing! as i read thru the instructions i saw “add eggs, whisking… ” i thought it said Whiskey and thought, YES! LOL j/k (kinda). I just ate the pasta that I bought at Trader Joe’s…and thought about you while eating it. Thanks for taking me there! Wow, these look delicious! Really, what a nice idea and I bet they’re so GOOD!